A Colombian coffee-growing town went to the Bogotá Book Fair to showcase its own publishing house, run by the municipality. 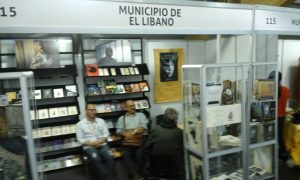 El Líbano, named for the Middle Eastern country, is the only municipality in Colombia that had a stand at this year’s Bogotá Book Fair (FILBo). “Since 2004, El Líbano has been present at FILBo and w’ere the only Colombian municipality to participate here,” the publishing house’s director, Carlos Flaminio Rivera, told Publishing Perspectives at the book fair. “This year we are present with 60 books from five collections,” Flaminio Rivera said, who is also an author, with a half-dozen books of short stories and science fiction to his name. “The library and publishing house were created by the municipality in 2000, which made the funds available to launch both, on the initiative of the town’s mayor,“ he said. 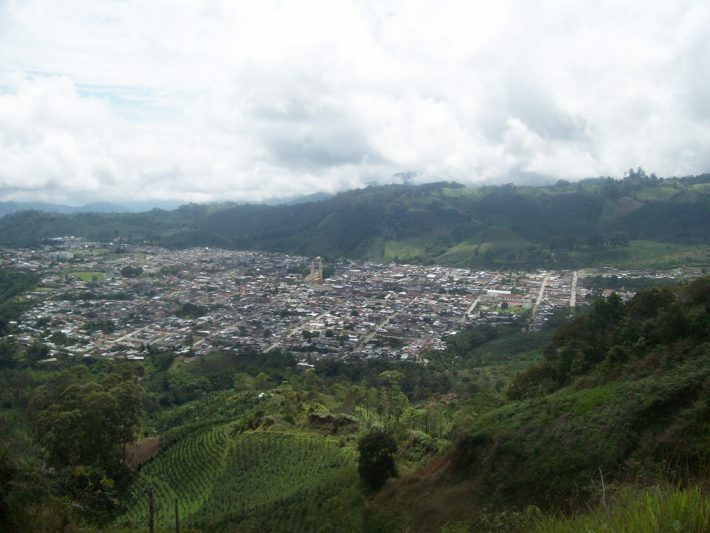 “El Líbano is one of the towns with the largest number of writers and intellectuals in Colombia,” something he attributes to the influx of Lebanese immigrants, he said. Lebanese immigrants, as well those as from Syria, Palestine and Turkey, began arriving in Colombia in the 1890s, and Arabs constitute the largest emigrant group that has entered the country since it achieved independence from Spain in 1819, according to historians. 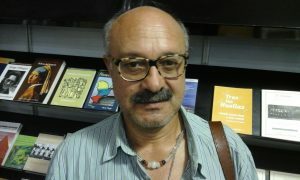 Lebanese migration to Colombia is the subject of several books, such as local author Eduardo Hakim Murad’s El murmullo de los cedros. And former president Julio César Turbay Ayala (1978-82) is of Lebanese descent. “As a result of the arrival of those intellectuals, the town recognized the need to open a library, and promote our writers and our municipality,” Flaminio Rivera said. One of the town’s prodigal sons is Germán Santamaría, three-time winner of Colombia’s national journalism award and the recipient of the Julio Cortázar Ibero-American Short Story Prize for his story No morirás. Santamaría is currently Colombia’s ambassador to Portugal, and one of the town’s libraries is named in his honor. The Biblioteca Libanense de Cultura publishing house has launched books by both Latin American and Lebanese writers, publishing around five books a year that are distributed to the town’s libraries, while the municipal library offers literature courses to the town’s inhabitants. “FILBo is therefore very important for us because it allows us to showcase our books,” he said. Its titles include an anthology of short stories by Mexican and Colombian authors, including José Emilio Pacheco, Juan José Arreola, Luis Fayad and Harold Kremer. The town (pop. 42,000) has always had an academic tendency, Flaminio Rivera said, with nine colleges offering degree courses, each of which has its own library, while the Biblioteca Libanense de Cultura library and publishing house “augment the town’s cultural baggage,” he said. He said such an incident reflects a radical and free-thinking spirit in the townsfolk of El Líbano. Located 120 miles west of Bogotá in the Tolima department, the town was founded in 1850, but a church was not built there until 100 years later, he said. Interviewed by local radio station Enfoque, El Líbano’s mayor José Germán Castellanos Herrera, spoke of the importance of attending the book fair for the municipality. “We couldn’t remain absent from such an important cultural event, so that people find out what is happening in the municipality,” he said. “It is important that the community knows we’re present at the fair and that we are showcasing our books there,” he said.